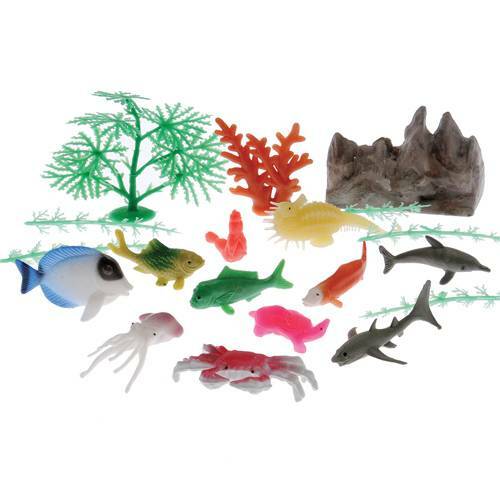 Add excitement to pretend play with this set of aquatic animals and landscape. Set includes 10 aquatic animals and 10 pieces of landscape. Great for decorating an ocean or Hawaiian themed event. 20 pieces per set.